Standing at nine metres tall, a new interactive and thought-provoking sculpture by Steuart Padwick, and supported by Time to Change, is captivating the landscape and the city of London. The design, uncomplicated but powerful, is of a gender, ethnicity and age neutral head, floating just above the surface of the water. LONDON, ENGLAND – SEPTEMBER 16: As part of the London Design Festival and design junction British designer Steuart Padwick makes a dramatic change to the London skyline in support of mental health. 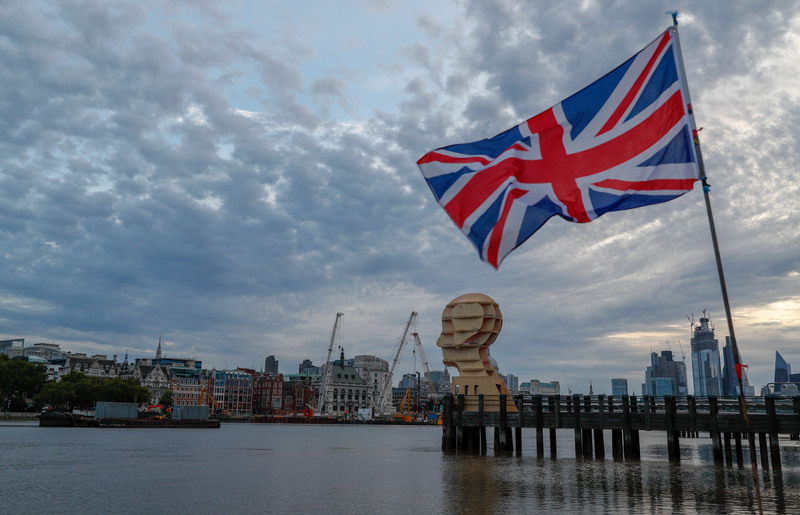 Head Above Water is a 9 metre high sculpture on the Queens Stone Getty at Gabriel’s Wharf on London’s South Bank on September 16, 2018 in London, England. (Photo by Luke Walker/Getty Images for Head Above Water). Steuart’s lightbulb moment was not a result of a sudden epiphany, in fact, it had its roots in a simpler time, back in 2014. During an art residency off the coast of Maine, which involved the Haystack Mountain Craft College allowing 50 professional artists to stay with them for two weeks, Steuart and the other guests could enjoy a variety of techniques and art forms to try. For the rest of the time, they could simply relax on the beach for inspiration. No pressure. Whilst he was sat on the beach, he started sketching, then he started sketching with rocks and parts of tree, placing them just on top of the tide. And it dawned on him, it was like a head above water. 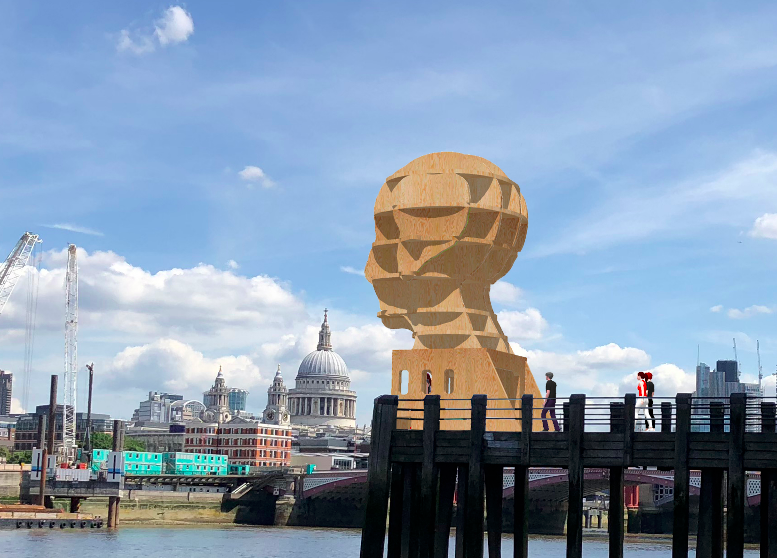 A really innovative aspect of the sculpture is the nightly interactive Twitter feed which anyone can access, by using the #HeadAboveWaterLondon @hawLDN you can # an emotion and the head will change to a colour in accordance with the emotion. This was the brainchild of Dr Sally Marlow PhD, Fellow at the Institute of Psychiatry. Steuart described that this feature was both whimsical and in the hope of starting conversations. As mentioned, this project has taken a village. From the King George V lock letting them assemble for free, Bamnuttle supplying cranes free of charge and a company who work with MatesInMind providing electricians. And then Port of London wavering the license fee, Lambeth not charging for their Section 30 temporary structure license and Morley & Kings donating seven thousand pounds for the interactive Twitter tool. Stuart has said it has been an extremely humbling, amazing and privileged experience to be part of and wants to give a huge thanks to all those involved. However, of course the sculpture cannot remain there forever, so at the end of September, when its time at the South Bank ends, where will it travel to next? Steuart explained there are a lot of companies and organisations interested in precuring the statue. For example, a recycling company in North Fleet want to turn it into a living garden, Morley & Kings want to analyse the Twitter data and King George V lock, City Airport and Royal Victoria docks want it to become a permanent piece in their locations. 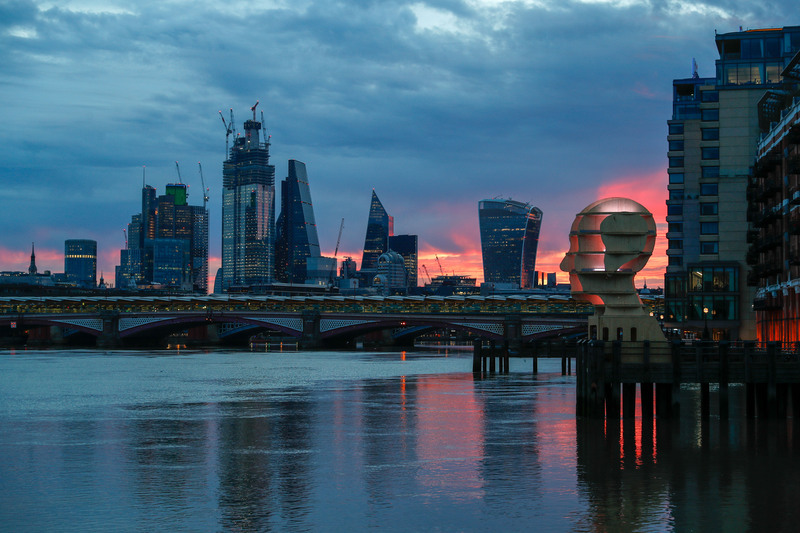 .LONDON, ENGLAND – SEPTEMBER 14: As part of the London Design Festival and design junction British designer Steuart Padwick makes a dramatic change to the London skyline in support of mental health. 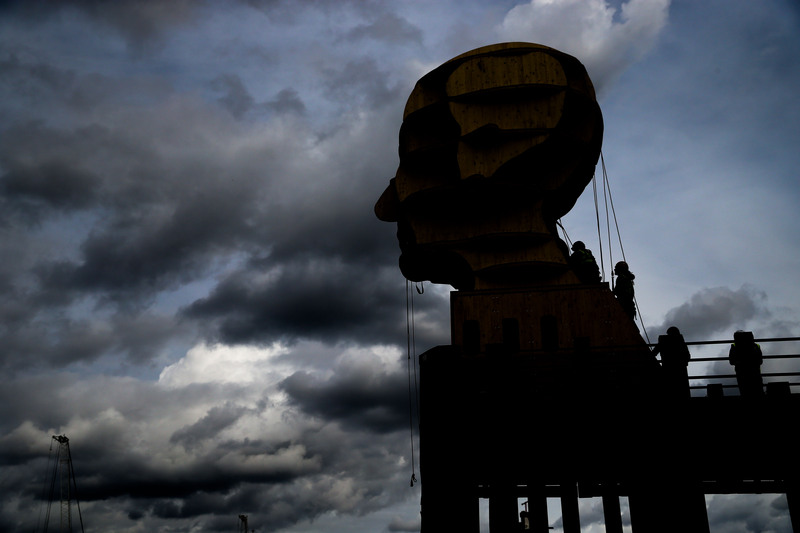 Head Above Water is a 9 metre high sculpture on the Queens Stone Getty at Gabriel’s Wharf on London’s South Bank on September 14, 2018 in London, England. (Photo by Luke Walker/Getty Images for Head Above Water). ← Recipe of the Week: Orange Chicken.